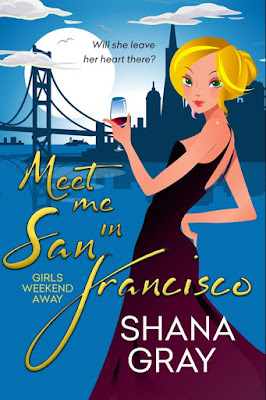 Just Contemporary Romance: Have you been to San Francisco? Have you been to San Francisco? What about Napa Valley, or Muir Woods? If you haven’t, then I encourage you to pick up a copy of MEET ME IN SAN FRANCISCO. It’s the second book in my Girls Weekend Away. The first book came out in July WHAT HAPPENS IN VEGAS, THE NASHVILLE BET comes out in December and we have to wait until Valentine’s Day next year for A MATCH MADE IN MONACO. I hope this little excerpt will make you want to read more! Links and giveaway info are below. ‘You guys are crazy. Didn’t you see that movie? There were snakes in the bedroom, bats in the belfry, no water. No guy is hot enough to put up with that crap.’ Celia shivered. ‘Aww, come on, Ava, not every woman finds a Mr Right. You’re such a dreamer,’ Fredi scoffed. Celia met Bonni’s eyes in the rear-view mirror as Ava and Fredi re-started a very old argument. ‘I can’t believe a woman who designs wedding dresses for a living can be so cynical about love!’ Ava exclaimed. ‘When you have as many repeat customers as I have, you learn that “happily ever after” really just means “happy for right now”,’ Fredi shot back. ‘Aww, thanks, sweetie.’ Celia leaned back. There was a beat of silence, and Celia’s gaze wandered to her friends. Each of them was so different, but they were so tightly knit as friends they almost felt each other’s emotions. In the driver’s seat, Bonni’s dark hair was pulled back in her usual ponytail, the wind whipping the strands around her. She shot a quick smirk to Ava, and Celia fancied she could see Bonni’s cop façade just melt away. Her heart swelled with love for them all. ‘I’m glad you didn’t fight us on the kidnap plan.’ Fredi repositioned their purses between them. ‘I’m glad too! And, I do admit no kids, no drama, just us, sounds wonderful,’ Celia replied. Shana Gray writes contemporary romance and womens fiction that just might make you laugh. 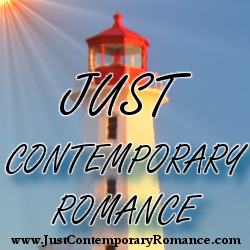 Her books can be found at Headline Eternal Romance, Entangled Publishing, Harlequin Blaze, and Random House Loveswept, she is also an indie author. Her international top seller, WORKING GIRL is available in six languages. A mom of two grown sons, a future daughter-in-law, and was adopted by her black cat, she lives in a small town in Ontario, Canada. When she’s not writing or at the day job, she spends time with her family, menagerie of pets, enjoying a fine wine and is always eyeing travel plans ready to fly off at the drop of a hat to experience the beauty of the world around us.